Looking for in-depth analysis of Wednesday’s Military Bowl showdown between the Air Force Falcons and the Toledo Rockets? Keep looking. 1. Check the scoreboard lights: RFK Stadium will host two of the nation’s top-20 offenses, with Toledo checking in at No. 8 (493 yards per game) and Air Force at No. 19 (458.83). Toledo’s also eighth in scoring offense, averaging a little more than 42 points a game. Entering the bowl, The Rockets have rattled off scores of 45, 44, 66, 60 and 49 over their last five games, including a 63-60, defense-optional Nov. 1 loss to Northern Illinois on national TV. Air Force topped the 60-point mark as well, downing Football Championship Subdivision foe Tennessee State 63-24 in late September. 2. Statistic of the day: Toledo junior Eric Page has 112 receptions this season. The entire Air Force roster has 110. On the plus side for Falcons fans, Air Force is outgaining Page by a few hundred yards (1,662 to 1,123). Senior defensive back Jon Davis leads an experienced Falcons secondary (three seniors and a sophomore) with four interceptions. 3. 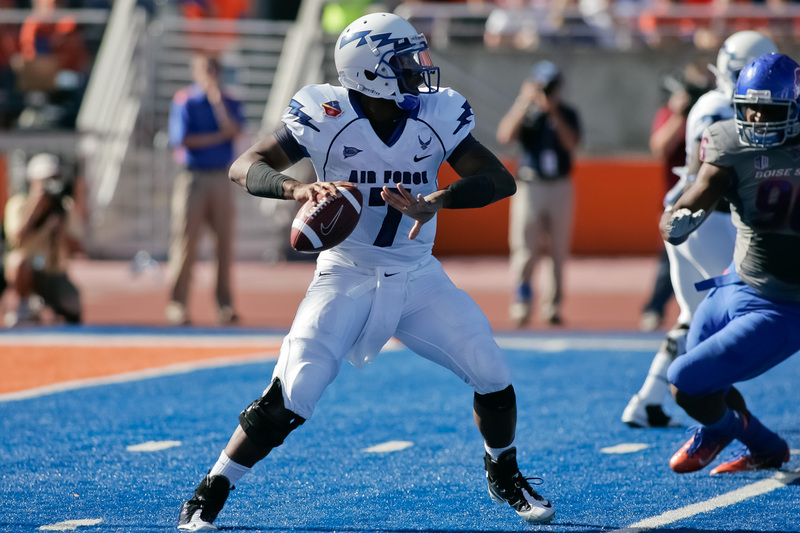 Common opponent: Air Force and Toledo shared exactly one foe all season, with the same result: Boise State beat the Falcons 37-26 on Oct. 22 and thumped the Rockets 40-15 on Sept. 16. Service academy fans, take note: Toledo visits Navy in 2013, when Rockets starting quarterback Terrance Owens (1,812 yards passing, 15 TDs, 3 interceptions) should be halfway through his senior season. 4. Good seats still available: Nobody’s predicting a sellout, but the fans who are there could give Air Force a boost. Frank Schwab of the Colorado Springs Gazette reports the Falcons had sold nearly 10,000 tickets as of early this week. The Toledo Blade reported the Rockets had sold 1,200 of the school’s 5,000-ticket allotment as of Monday morning.